I’m so looking forward to spring, aren’t you? This winter has been SO freaking brutal, I can’t help but daydream about warm breezes, picnics and playdates in the park. When the weather warms up and I can hear birds chirping through my (briefly) open window I start thinking about getting the kids outside. Don’t you? I’ve got a list of all the fun outdoor spots in St. Louis and when they plan on opening back up. Now you can plan your weekends accordingly! Butterfly House in Chesterfield: The Butterfly House does Morpho Mardi Gras all February through the end of March, which is (in my humble opinion) the best time of year to visit! It might be too chilly to play outside this early, but the conservatory is always tropical. Ted Drewes Frozen Custard at the main Chippewa location opens Feb. 12, 2019–just in time for Valentines! We’ll have to wait for Mother’s Day for the smaller S. Grand spot to open. 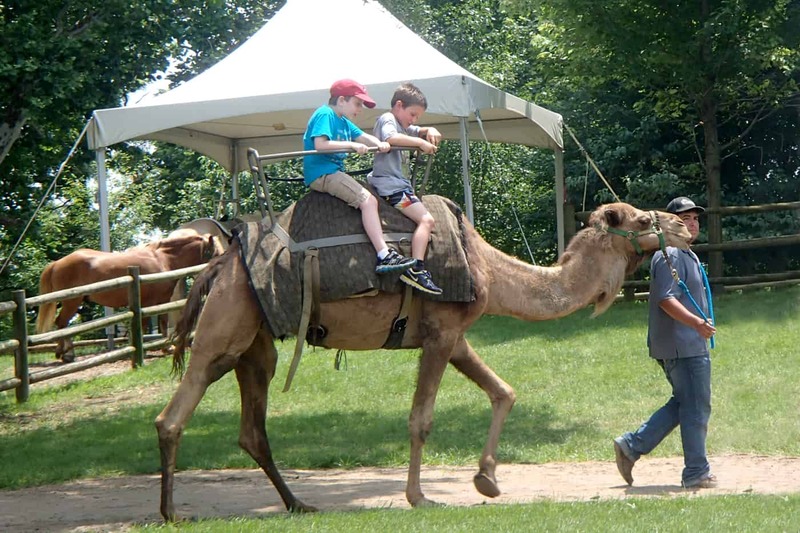 Purina Farms: A perfect place for the little tikes and it’s free (just remember to RSVP first). You’ll spend most of your time inside the cozy barn, but the dog show is outside. Don’t worry, the pool for the diving dogs is heated! Purina Farms opens March 23, 2019 for the season and the annual SpringTime Village starts April 10. Miniature Train: The Transportation Museum is always open, but they put away the big toys for the winter. The mini train starts up on March 10 and runs weather permitting. Sea Lion Shows: The Saint Louis Zoo is always a little bit more fun when you can take in the sea lion show, don’t you think? It’s back March 16 with the Spring Training Show. Six Flags: Get ready for roller coasters, cause the park is open March 23. 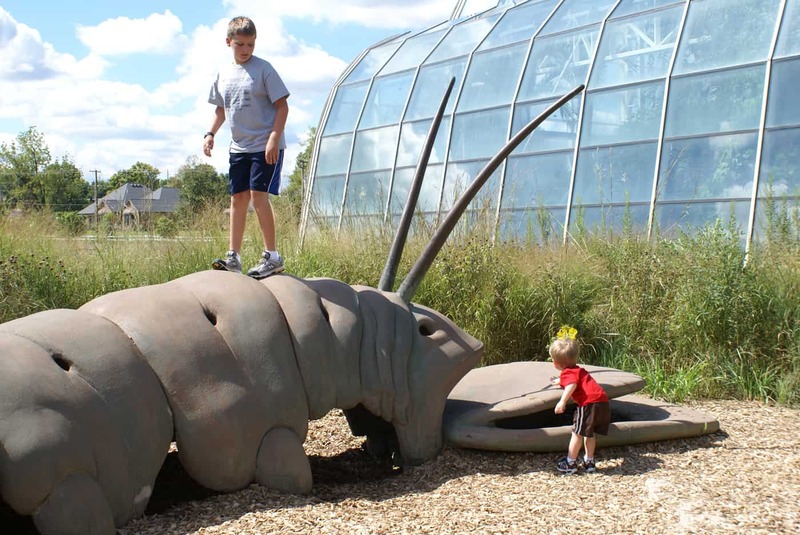 Children’s Garden: The kid’s love running around this garden playground tucked inside our world famous Missouri Botanical Garden. It also has a great spray pad play area that turns on when the temps hit 70. Bonus, the whole Garden is free on Saturday’s before noon for residents of STL City/County. Opens April 6 with a Meet Meet Outdoors Weekend celebration. HandCar Village: This fun outside play area at the Transportation Museum will reopen April 21. Big Joel’s Safari: Come pet some animals from wild to mild! Opens April 4. Stingrays at the Zoo: Heads up, the stingrays will be back from their Florida vacation sometime in April. I know May is pretty much SUMMER, but I wanted to let you know that Grant’s Farm has delayed their opening date from mid April to May 3. Looks like we’ll need to wait a little longer to get our goat fix.